After his short European tour Mammootty is back to the sets. 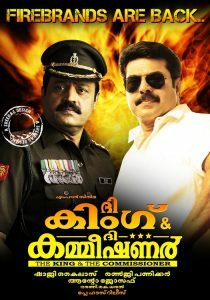 He has already started shooting for the new movie tentatively titled as ‘King and the commissioner’ at Kochi. Renji panikkar scripts the movie which will also have suresh Gopi in an important role. Directed by Shaji Kailas, the movie will complete its shooting with schedules at Delhi, Ernakulam, Kozhikkod and Thiruvanathapuram.